I really, really, really, wanted to like this palette. 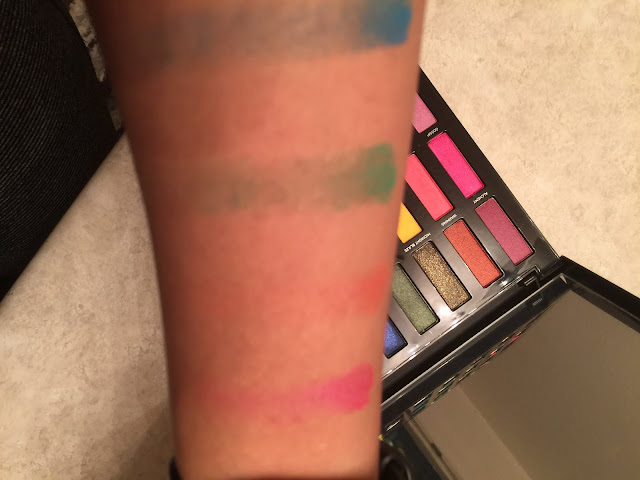 It had the makings of a glorious palette, full of bright and vibrant colors and the ability to bring a pop of color to an otherwise average eye look. 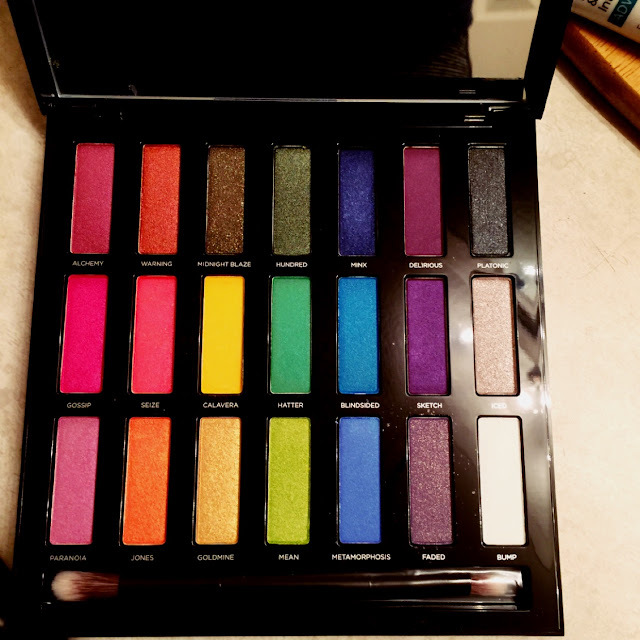 This 21 pan ombré style palette comes in textured black packaging with the Urban Decay logo and is not the easiest palette to store (as is the case with many of UD palettes). As you will see from the swatches below, the palette lack pigmentation and luster. I am olive skinned, but shadows show up on me quite well. 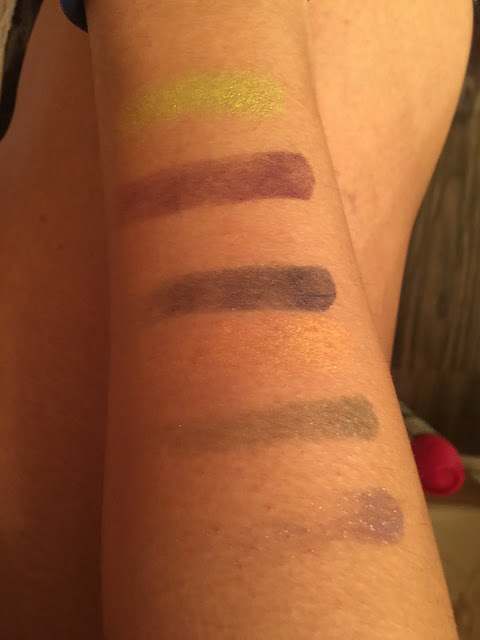 These were patchy and chunky and when I attempt to create an eye look, I couldn't get any of the darker shades to blend, while the lighter shades blended away into nothingness. The palette originated for $55 USD on Urban Decay's website and is now on sale for $35 USD. I paid $35 USD at Sephora and here's the link if you are interested in seeing for yourself how disappointing this palette truly is. Although the color selection is awesome and the ombré style construction of the palette is a plus, none of that matters if the shadows aren't quality.